And that right there is proof that I finally had my miracle baby after miscarriage, my rainbow baby. If I didn't have an emergency C-section, my son would not be with me now and that, I cannot imagine. He is beautiful in every way — my own little miracle of life and of love. 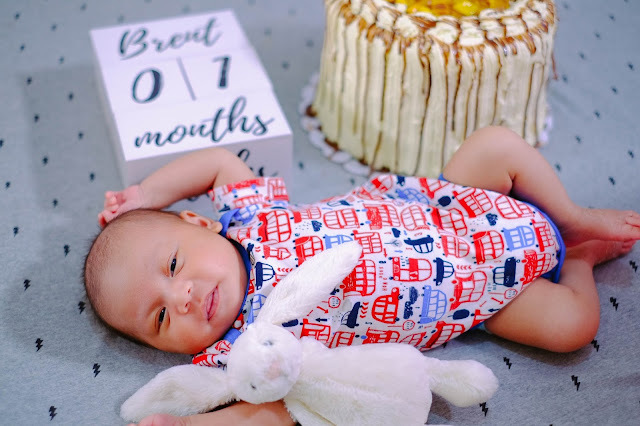 I am thankful every single day that what was once a heartbeat so weak and nearly gone with an initial APGAR score of 2 is now a one-month-old baby boy and he is, of course, strong, adorable and fierce. And by fierce, I mean will-cry-and-scream-if-he-doesn’t-get-what-he-wants kind of fierce. He also takes (really) long naps with 3-5 hour stretches, usually waking up 2-3 times at night. He is 1 month old today and I've never been more happy and tired in my life. Sure, I've heard the advice: Nap when baby naps. But the reality is that most days I worry more than ever before. Also, as I write this, I'm battling the temptation to eat another slice of his cake while trying to google why my baby's skin is so dry. So here's what I find via Google: A baby’s skin is just developing, the layers are thinner, more delicate and more susceptible to external irritants. That's why it's important to protect and maintain a baby’s healthy skin, and moms must need to break the Dry Skin Cycle. 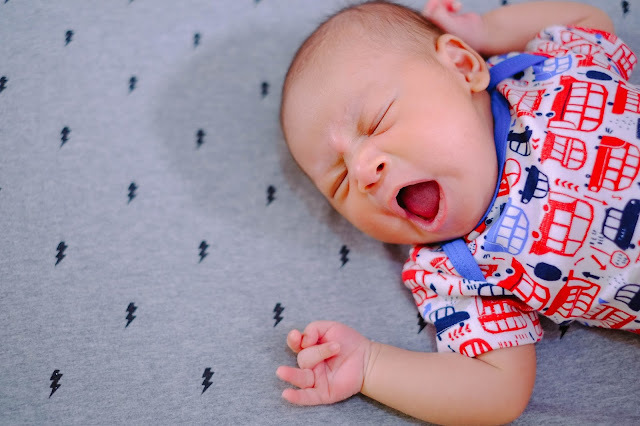 Like other moms, my baby's comfort is my topmost concern, and once his delicate skin starts to act up and the itching spell begins, I can only cry with him at his discomfort, distress and out of sheer helplessness. Some level of dryness and irritation of skin are tolerable (albeit annoying) for everyday, but for moms like me, it can get frustrating and heartbreaking whenever my baby’s skin starts to show dryness and irritation. With external aggressors present – pollution, dust, and irritants – moms cannot help but worry. Especially when we take tons of snaps of our baby's body parts, maintaining our baby's skin skin soft and moisturized is of paramount importance— which is why I've decided to put a new range of products to the test. Plus, I'm sharing why it needs to become a part of your baby's essentials list ASAP. 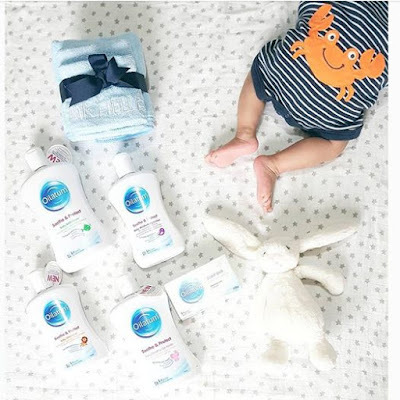 Aside from knowing that our baby's skin needs to be cared for, soothed and protected everyday, there's a part of me that thinks I sorta know what's the best product to use for my baby's soft and delicate skin. And that's Oilatum soap that was prescribed by my daughter's pediatrician and she has used it since she was a baby. I will be the first to tell anyone that it is a godsend for dry skin woes. My baby's skin is so sensitive that when I see redness, I really can't use anything that contains chemicals. The Oilatum soap helps battle dry skin — for real! The new range of products I'm talking about is from Oilatum, made to address dry and irritated skin and help break the cycle of dry skin. As moms, while we cannot solve these environmental problems, we can at least take control of our baby’s comfort by helping break the cycle of dry skin or reoccurrence of dry and irritated skin. Seeing yet another celebrity mom, Isabel Oli, singing the praises and swearing by Oilatum's amazing properties makes me believe that the new baby range is effective and provides immediate relief and long-term prevention for babies and children with dry, irritated skin. Formulated with nourishing oils and moisturizers, the new Oilatum Soothe & Protect baby range replenishes the skin’s moisture barrier. This action is called the Oilatum SkinLife Cycle which strengthens the skin barrier, thereby keeping moisture in and irritants out, to make skin healthier. I have been using this on my daughter for a while now and would recommend it to anyone. I rub it on her legs, arms, and body after she gets out of the shower when she's still a bit wet. By the time she's out of the bathroom, her skin is super soft. No other product achieves quite the same softness. It is clinically proven to help reduce the occurrence of dry, irritated skin in babies – even newborns. It contains nourishing mineral oils and moisturizers to help soothe and protect your baby’s skin. Oilatum Soothe & Protect Baby Moisturizing Lotion helps prevent further dryness by nourishing the natural moisture barrier of the skin. The hunt for a single product to turn my baby's dry skin into clear, luminous perfection has always ended in disappointment—until now. It contains ultra gentle, effective cleansers for dry skin. It's also safe for everyday use, and it helps to reduce the occurrence of dry, irritated skin. It cleans my baby's hair really well without irritation. For everyday use, the results are decidedly positive. Like a lot of babies, his hair is thick, yet the individual strands are fairly fine and delicate but the shampoo didn't make it look oily and piece-y in a bad way. It is kind on the eyes and contains an ultra gentle yet effective cleanser for the hair and scalp. It also has detangling and static control properties to better manage your little one’s hair. 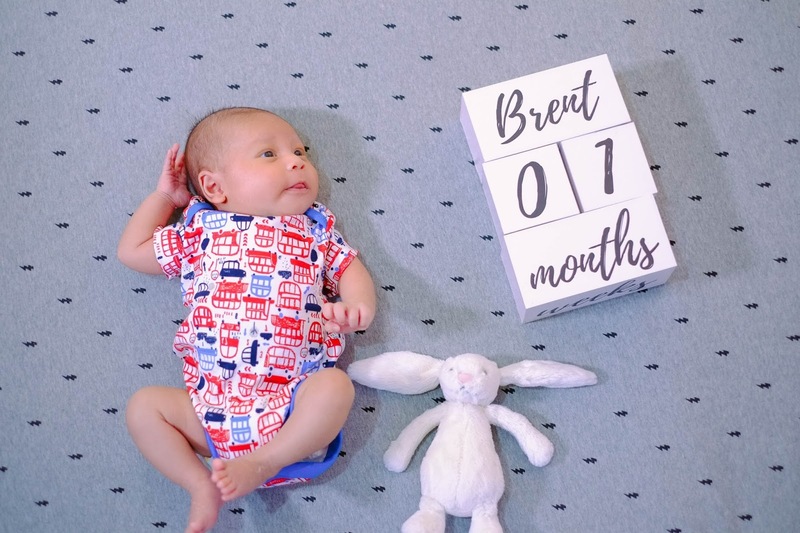 It’s suitable for everyday use, even for babies as early as day one. I love the light, refreshing scent and the fact that it contains ultra gentle, effective cleansers for dry skin plus it's soap free. It cleanses and protects the natural moisture barrier of young skin and like the shampoo, it's suitable for babies, newborns and even kids. Overall, I am super impressed with the Oilatum Soothe and Protect range. Clinically proven to help reduce the occurrence of dry, irritated skin for moms and babies, it really provides relief and protection from irritants and other external aggressors. 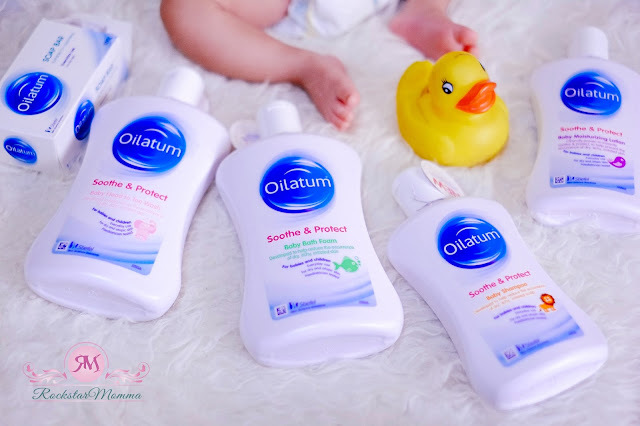 With Oilatum, my baby’s skin is soothed and protected everyday. You can find it in the following retailers: Mercury Drugstore, Rustan’s Fresh, Landmark, Royal Duty Free and Rose Pharmacy. 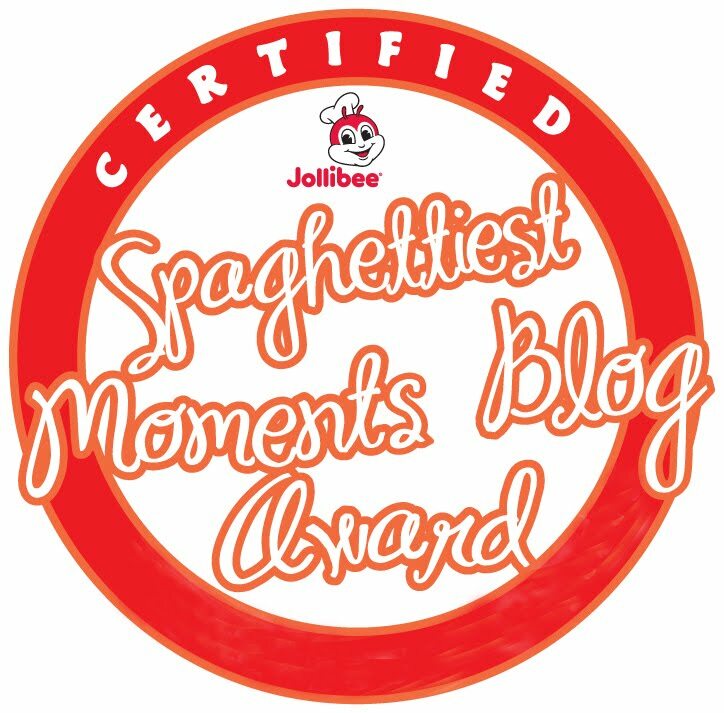 Soon, it will be available in the following retailers as well: Shopwise, Robinson, and SM Save More. 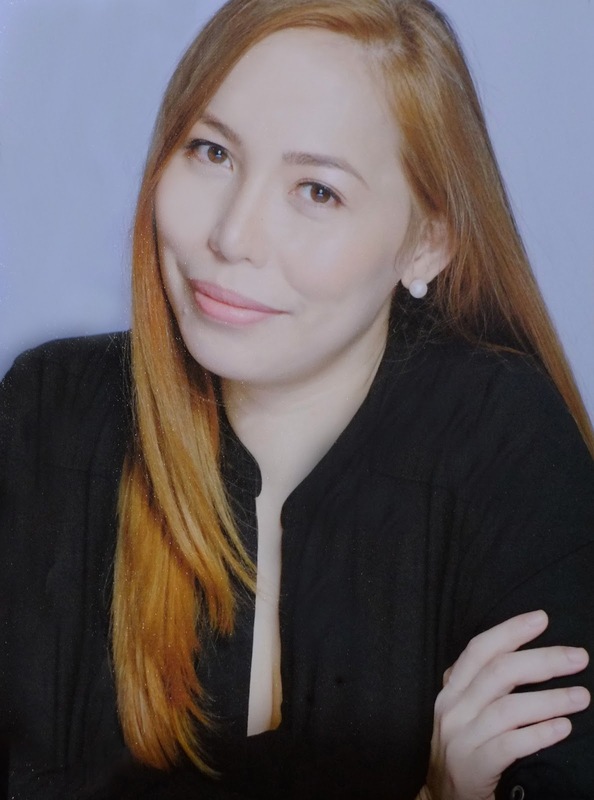 Visit the Oilatum Philippines website www.oilatum.com.ph and https://www.facebook.com/OilatumPH/ for more information and tips from experts on how you can take care of your baby’s skin.